You can hide but fate will find you every time! Chris is young, rich and successful but his perfect life has come at a cost – the brutal murder of his parents five years earlier. Now on his 25th birthday a message is left on his answering machine promising him the same fate. Plagued by similar pranks in the past, Chris won’t let it get the better of him. After all, his girlfriend Jill has planned a weeklong getaway and he plans to propose. Unbeknown to Chris however, the mysterious caller is far from a prankster, he is a killer who has been tracking his prey, just waiting for the perfect time to strike. 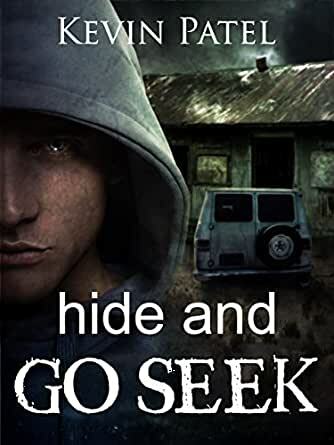 Set in beautiful New Zealand, Hide and Go Seek is a fast-paced cat and mouse thriller written in three threads, from the points of view of five main characters. The perfect couple, the psychotic killer, the lonely waitress and the crazed stalker will be forced into each other’s lives in a deadly game of survival. 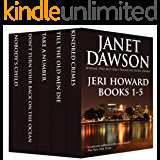 Similar books to Hide and Go Seek: A fast-paced cat and mouse thriller written in three threads, from the points of view of five main characters. Very well done mystery. I truly enjoyed this book. The twists and turns add to the excitement. Although we do not know in the beginning of the book who the killer is? The author Kevin Patel leads us on the adventure and shows us just how the characters have a depth that we come to acknowledge. It has a surprise ending, and I did not put it down until the end. Murder mystery readers will love this novel. Well developed plot that keeps the reader engaged. Just when I thought I knew who the killer was, the plot thickened. Pay attention and you will see that the author knows how to show the story. Can't wait for the next novel by this author. Keep up the good work Mr. Patel. 5.0 out of 5 starsAn Original and Exciting Thriller! 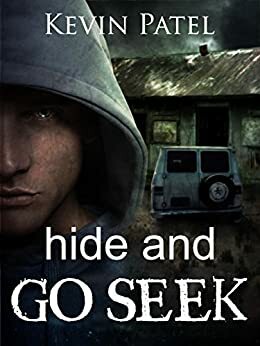 "Hide and Go Seek" uses a unique plot device on the serial killer genre in that the story is told from the point of view of 5 different characters. It definitely brings a level of freshness that has been seen in a long time. The story is fast paced, exciting, like I said earlier, the plot is original and keeps your attention. The characters are very well developed and engage the reader, I was very impressed with this novel and I am sure Kevin Patel will bring us many more excellent and exciting thrillers. This is a dark and thrilling novel that will keep you on the edge of your seat. Personally I liked that the book started off slow and delved deep in description. The ending was gripping and graphic, and overall the plot was suspenseful to say the least. I would recommend this to anyone looking for an exciting thriller. At first I wasn’t sure where the Prologue fitted into the rest of the story, but by the end it all made sense. The main contrast is between Chris and Jacob with support from Jill, Jamie and Richard. Chris is the rich, privileged one, he has the fast car and pretty girl. We see his polite, but shallow attitude in his dealings with his employees. Jacob is more ordinary, driving his van, almost nomadic in his habits, more carnal, but not as sleazy as Richard. The reader’s impression of Jamie is her vulnerability, through her work in the diner. Interestingly we hear Chris’s version of his parents first and then Jacob’s version which is designed to make the reader question their initial assumptions about the characters. The structure is well thought out with the characters’ lives nicely intertwined. The ending is logical based on the story, although I would have liked more of a physical description at the end to make sure my assumptions are correct. There are some gruesome and gory details, but they are only there to show the nature of the character. Unless you have a particularly weak stomach you should be fine (I’ve read a lot worse). In terms of the language I thought it was a little wordy, but I’m having difficulty trying to find a reason for this. As some reviewers have commented perhaps there is too much detail. Yet most of the incidents are subtle, which are revealed later on in the story. There is the drive to the garage, but then the significance of this becomes relevant later. The swimming incident is there to emphasise Chris’s feelings and perhaps a little paranoia. For me this book was good, well thought out and credible, which is what you want from a thriller. Fast-moving in parts but too slow in others. Despite the very gripping beginning and the gruesomely bloody end of this serial killer thriller, I found too much of it contained rather ponderous detailed explanations, much of which could have been left out. There was nothing wrong with the well-written descriptions as they showed the author’s undoubted literary skills. It was just that it slowed things down and often led to confusion about the many characters that required centre stage at that moment.